It doesn’t take extraordinary power, money or talent to make a difference! Take it from these three stories of women who made history with courage and integrity. EVERYDAY PEOPLE, EXTRAORDINARY TALES It doesn’t take extraordinary power, money or talent to make a difference! Take it from these three stories of women who made history with courage and integrity Joan of Arc (1412 – 1431) – According to historians, Joan lived in the village of Domrémy, France as the daughter of a tenant farmer Jacques d’Arc. Born to a common peasant family during the Medieval Era, Joan did not learn to read or write. She was raised during the tumultuous Hundred Years War between France and England. Shortly after she was born, England invaded France and usurped rule over her region. At age 16, Joan went disguised and in secret to the dethroned prince of France, the Dauphin Charles VII, urging him to allow her to help expel the English and reunite France under French rule. She defied her role as a peasant girl by dressing in men’s clothes and leading an army across enemy lines, successfully pushing back English forces. She was captured by the English and famously burned at the stake. However, her bravery and piety paid off. Charles VII did retain his crown, Joan’s name was cleared, and she has since become a martyr and national hero. She is canonized as a Catholic saint and is today the patron saint of France. Annie Besant (1847 – 1933) – With no less courage, but certainly a different philosophy, Annie Besant stood up for social and political change during the height of the Victorian Era. At age five, Annie’s father passed away, leaving her family penniless. Due to the generous sponsorship of a family friend, Annie was allowed an education. She married at age 19 to Frank Besant, an Anglican clergyman who very quickly proved too conservative for her. She was not satisfied with the Victorian mores concerning wives. She was a published author, a vocal lobbyist for worker’s rights, and an open critic of the Christian church. Leaving the Christian faith, she also separated from her husband, which freed her to become more involved with causes that mattered to her. She campaigned for women’s rights, birth control, unions, and the independence of Ireland and India from British rule. Although she had no background or wealth to her name, she is remembered for the extraordinary impact she has had on the United Kingdom, Ireland, and India. Rosa Parks (1913 – 2005) – Rosa Louise McCauley was a native of Tuskegee, Alabama. Growing up in 1930s Alabama, racial segregation was a practice in public schools and other facilities that separated white and black (or non-white) children and adults. Non-white facilities and opportunities were significantly lower quality than white ones. After marrying Raymond Parks, a local barber, the two of them became more involved with defending the rights of black people and preventing injustice. Rosa is known for her act of bravery on December 1, 1955, when she refused to give up her seat in the middle of a public bus for a white passenger. When she boarded the bus, she took a seat in the first row of the “colored” section. However, as the bus traveled, all of the white seats were taken, leaving some white passengers standing. As was customary, the bus driver attempted to create more white seats by moving the “colored” section sign and asking the black passengers in those seats to move. However, Rosa Parks did not stand or move. She said, “I don’t think I should have to stand up.” Consequently, she was arrested. However, report of this event spread like wildfire, and Rosa Parks became a hero of the Civil Rights Movement of the 20th century. Actualizing our dreams of prosperity and happiness takes coming together as a collective and propelling each other forward. As a leader, you encourage others toward growth. You coach others toward success. One coach with an amazing career of influencing people to become winners is renowned college football coach Eddie G. Robinson, Actualizing our dreams of prosperity and happiness takes coming together as a collective and propelling each other forward. As a leader, you encourage others toward growth. You coach others toward success. One coach with an amazing career of influencing people to become winners is renowned college football coach Eddie G. Robinson, Sr. He coached one team, the Grambling State University Tigers for his entire career spanning more than 50 years. Not only that, he is recognized as having one of the best records in history! “Coaching is a profession of love. You can’t coach people unless you love them.” Coach Robinson understood that in order to influence others to success, their future must be as important to you as your own. He acted this out through numerous counts of sacrifice and dedication. His is a good example of someone who saw his capacity for helping others and how his actions could shape students and lead them toward success. Coach Robinson’s efforts were not just for the good feelings of it all. He actually won games. His philosophy of coaching with love produced results. His players didn’t just win on the field, either. Many of them went on to satisfying careers after college as well. He sought to “actualize” in a challenging time. Grambling State was a small all-black college in Louisiana, and his students did not have many opportunities ahead of them. In the face of this, he responded with more care, more effort, more love. Stories tell of him waking his students up for breakfast, packing lunches for away games and dressing injuries. When a parent pulled two of his best players to help pick cotton, Coach Robinson showed up with the entire team. They worked together for the entire day so his students could remain on the team. Robinson was able to turn such negative circumstances into positive ones. When he first started, his team lost their first season. He made cuts and recruited the talent he needed to turn around and produce a perfect 8-0 record for the next season. Under Robinson’s coaching, the Tigers had two additional perfect seasons and many championships. Robinson sent more than 200 of his players on to compete in the NFL, second only to Notre Dame. Upon retiring he accumulated 408 victories on the field. But to Coach Robinson, his biggest achievement was in the lives of his players. What is the challenge or difficulty holding you back from actualizing your success? Eddie Robinson poured integrity and love into producing able and capable young black men in the face of segregation, prejudice, and racism for many years. Are you trying to win all on your own? Thankfully, you don’t have to! The brilliant vision of Gano Excel founder Mr. Leow Soon Seng incorporates network marketing so that each Affiliate is rewarded for being a part of a global team effort to spread health and wealth through its Ganoderma-lucidum-enriched products. 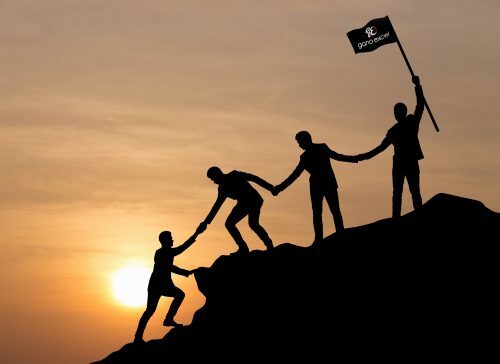 Lean into what it means to be a part of a team, and soon you may find yourself leading and coaching one yourself. Finally, in case you didn’t catch it, it’s worth noting Coach Robinson’s staying power. Winning certainly helped. But when he may have been tempted to move on to other opportunities, he didn’t. Certainly, in his 50 years and more than 400 wins, there were likely to have been some very attractive offers. He was proud to say upon retiring how proud he was to have had one job and one wife. His philosophy was that he found such joy and meaning in his role at Grambling State that it was never worth looking elsewhere for what he had already found. Loyalty undoubtedly pays off! Benjamin Franklin once wrote, “He that is good for making excuses is seldom good for anything else.” Now, falling short of a goal, making mistakes, facing extraordinary circumstances, these are all situations that every person could face. However, excuses don’t get you anywhere. What a waste of time! Thankfully, no Gano Excel Affiliate success story… Benjamin Franklin once wrote, “He that is good for making excuses is seldom good for anything else.” Now, falling short of a goal, making mistakes, facing extraordinary circumstances, these are all situations that every person could face. However, excuses don’t get you anywhere. What a waste of time! Thankfully, no Gano Excel Affiliate success story has happened without it being a team effort. You are not alone in your journey toward greater health and wealth. So here are some tips on developing accountability for yourself that will propel you toward success. HONESTY. Social psychologists conclude that most of the time people blame external factors for shortcomings instead of admitting internal flaws. So, when it comes to keeping yourself accountable, you may not be the most trustworthy judge. However, we can train ourselves to accept honest feedback from others. Having an unbiased partner – or even an app – can help us face the truth about our behavior. CONSISTENCY. It’s said that practice makes perfect. Accountability is not about a one-time review. It is about constant, vulnerable exposure to your goals and standards so that you build a long-lasting character change. Committing to a partnership with a coach, friend or spouse will create an avenue for ongoing, consistent feedback. EMPATHY. There is great value in human understanding. Apps are excellent tools to provide undeniable data in the face of rationalizations. However, you may balk at the idea of robotic perfection, leading you to justify lapses in behavior. Seeking human mentorship reminds you that change is possible. You have others who understand you and are on your side. Together with teamwork and a commitment to honest accountability, actualizing your dreams becomes possible! Establish a solid foundation and reach for what you want to achieve. We are delighted to share a delicious dessert that doubles as a fun-filled snack! Sandwich smooth peanut butter between nutritious banana bites, add a Ganoderma-enriched chocolate coating and freeze! It’s really that simple! The flavors of chocolate, peanut butter and banana make your tastebuds run in circles. We are delighted to share a delicious dessert that doubles as a fun-filled snack! Sandwich smooth peanut butter between nutritious banana bites, add a Ganoderma-enriched chocolate coating and freeze! It’s really that simple! The flavors of chocolate, peanut butter and banana make your tastebuds run in circles. GanoCafé presents Chocolate Monkey Bites We are delighted to share a delicious dessert that doubles as a fun-filled snack! Sandwich smooth peanut butter between nutritious banana bites, add a Ganoderma-enriched chocolate coating and freeze! It’s really that simple! The flavors of chocolate, peanut butter and banana make your tastebuds run in circles. Ingredients 2 Medium Ripe Bananas ¼ cup Creamy Peanut Butter ¾ cup Dark Chocolate Chips 1 ½ Tbsp Coconut Oil 1 Tbsp GanoCafé Mocha Instructions Cover a baking sheet with parchment paper. Slice each banana into thin slices and arrange half of the pieces on the baking sheet. Spread a dollop of peanut butter onto each banana slice, then top with another slice to create a sandwich. Place in the freezer for at least 30 minutes or until frozen. Meanwhile, place the coconut oil in a microwave safe bowl and microwave on high until it is melted, about 15 seconds. Using a spatula, stir in the chocolate chips. Microwave another 30 seconds on high and stir again. If you need to, continue with shorter 15-second intervals until mostly melted. Add your GanoCafé Mocha and stir to incorporate. 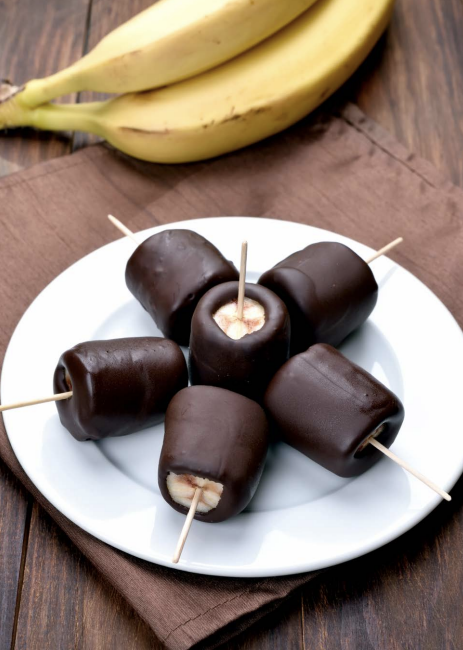 Using a fork or spoon, dip each banana bite in the chocolate mixture and place back on the sheet. Freeze for at least one hour, and store any extras in the freezer for later. Nutritional Fact Potassium, one of the many major nutrients found in bananas, is also an electrolyte! Electrolytes are charged ions that provide the body with electric currents it uses in all sorts of cell interactions. As an electrolyte, bananas can help your muscles recover from a workout, and work out more often! This helps you keep a proactive cycle of achieving a balanced, healthy lifestyle. Do you want to make the world a better place? It seems like everyone does. Imagine what could happen if saving the planet could also be a sustainable form of income! One change that we see happening is with the perception of reused materials. Generally, people think of reused materials as less valuable than brand new products. Many times, they are right! Recycled products are often less durable, less attractive, and less expensive. Recycled products thus become less profitable and more likely to be thrown away. However, that perception is changing through a trend called upcycling. Thanks to the success of platforms like Etsy and Hipcycle, small business entrepreneurs have crafted new, beautiful products out of reused materials. When a product’s re-incarnated version is as valuable as, or even more valuable than their first use, it is considered “upcycled.” While the upcycling trend has grown in the U.S. over the last decade, it is not a new concept. Prior to and during World War II, families often found new uses for materials because of economic necessity. Items were not thrown away until they were no longer usable. Wooden crates became coffee tables, wine bottles became vases and garments became pillow cases. Over the years, consumers have been programmed to accept planned obsolescence as a way of life. Consumers not only want new things, but they also have grown to dislike and discard things that are no longer new. Upcycling returns to the spirit of putting obsolete items to a new, creative use instead of sending them directly to landfill. Although the planet-friendly habit of reusing materials may seem like a re-emerging trend in the U.S., it continues to be a way of life in many civilizations around the world. That includes Gano Excel’s home in Malaysia. 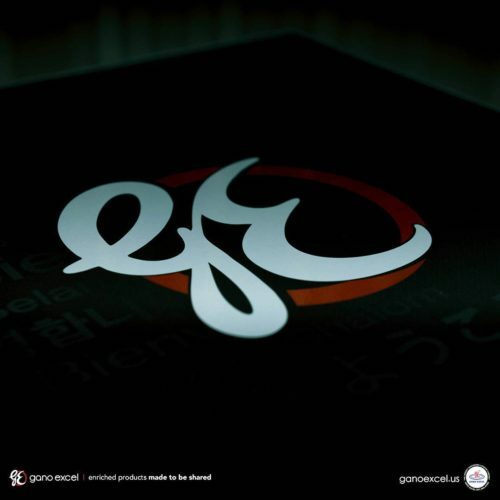 For example, at Gano Excel, you could take the medium we use to grow the world’s finest Ganoderma lucidum. It uses rice paddy rusks, sawdust and other organic materials set aside while harvesting nutritious crops for food. Instead of sending these to landfill, Gano Excel harnesses the tremendous quality and value these natural materials have for cultivating excellent Ganoderma lucidum. 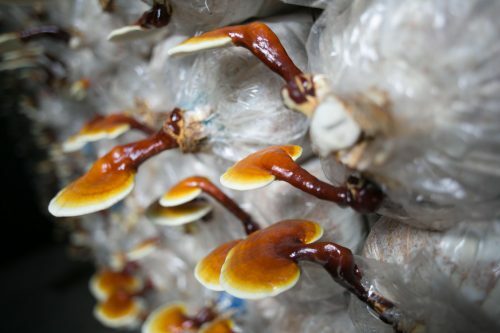 In essence, they produce Ganoderma lucidum products that are even more valuable than the original crops they came from. From a consumer’s point of view, upcycling has a compelling value. But is it actually profitable for businesses? Plainly, that is the whole point, according to Hipcycle CEO Renee Hansen. With a background in finance for Fortune 500 companies, Hansen was drawn to the eco-friendly e-commerce site for its sustainable business model. The site retails eco-friendly “upcycled” products by acting as a portal for customers to browse and purchase items from small businesses all around the world. Hipcycle curates products that add creative aesthetic and value to the repurposed materials that give them a market value competitive to their mainstream counterparts. That way, it provides profits to the small businesses, beautiful products to the customer and most important to Hansen, saves more usable waste from landfills. Likewise, Gano Excel is about improving the world by spreading health and wealth through its Ganoderma-enriched products. As each Affiliate shares, we move one step further in making a positive impact on the world. Join us! So many times, your biggest critic… is you! You hear encouraging words from others, and you likewise lift others up with kindness and support. However, it is a whole different story inside your head. Inside, you are met with your own desires, hopes, and fears. These thoughts and passions drive you to act and achieve excellence in your life. However, the expectations you have of yourself can also hinder you when it comes to self talk. Is it negative or positive? Do you hear your biggest cheerleader or your biggest skeptic? Our drive in pursuing perfection is not something to ignore. But if you are constantly feeling deflated by your inner voice instead of motivated, try some of these helpful tips to reframe the way you are talking to yourself. 1. Identify the positive. You may tend to focus in on negative events of the day, or the goals you did not accomplish. Your mind filters out all the positives. So, to counteract this habit, take some time to call out positive things that happened, no matter how small. 2. Push pause on the blame. When something negative happens, you may tend to immediately blame yourself. For whatever reason, you have learned the bad habit of automatically accepting all responsibility. That’s not to say that you did everything right, but give yourself some time to reflect on what happened. Be as fair to yourself as you would anyone else. 3. Accept the unknown. In your effort to be prepared, you may always assume the worst possible scenario. While preparedness is a great skill, it can also lead to worrying. If you cannot stop worrying and all you see is a catastrophe, it is time to take a step back. Accept that you do not know what will happen, and be fair about the likelihood of your fears. Be patient with yourself in the way you would with a friend. 4. Give permission for grey space. It is great to give something 100%. However, if anything less than perfection feels like complete failure to you, you may only be seeing black or white. “All or nothing” thinking is extremely stressful! Although this can rub off on other people too, it is easier to see how unrealistic it can be by imagining yourself as a child or good friend. Noticing a theme? When your self-talk sounds more like a friendship than a boss, you are headed in a positive direction. The truth is that changing your mindset is not just about the warm, fuzzy feelings. 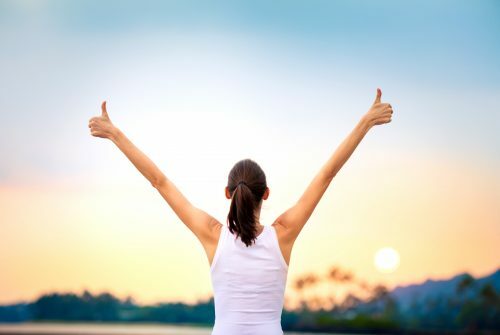 Scientific research by organizations such as the Mayo Clinic has found that changing our negative thinking into a kinder, more positive voice can have amazing health benefits! Because the reduction in stress levels is so significant, Mayo Clinic lists benefits to positive thinking that include an increased life span, greater resistance to the common cold, better cardiovascular health, as well as improved mood and mental health. So start changing how you talk to yourself today and enjoy more of your tomorrows! 9 Simple Ways to Improve Health in 2019 Take advantage of your New Year motivation and begin to practice simple habits to improve your health in 2019. When your mind tempts you to skip a step, remind yourself how easy these are and why you are taking responsibility for a better you this year. And if you are prone to making excuses, don’t miss #6! WASH THOSE HANDS! How’s this for a simple start? Health experts claim that frequent and thorough hand-washing with soap can reduce the spread of illness by up to 58%. That means fewer absences from school or work, which improves mood and reduces financial stress. REORGANIZE THE REFRIGERATOR. Give your fridge a simple makeover. Place healthy foods like yogurt, fruit, and salads at eye level, and toss the junk. You can slowly train your body to pick snacks packed with nutrients, without even thinking about it! SIT UP STRAIGHT. In your car, at a computer or during a meal, take a second to correct your posture. Sitting with good posture helps to prevent damage to your joints and muscles. It also helps with circulation, digestion and even mood! Studies have found sitting up helps us focus on positive memories or thoughts. FLEX THOSE MUSCLES. Add a quick 5-minute stretch to your morning. Nothing extraordinary! You’ll be surprised how it helps to energize the mind and body. You can also throw in a simple muscle workout using a hardcover book or gallon of water. WAKE UP 30 MINUTES EARLIER. Or start with 15 minutes. Especially if your household gets crazy in the morning. Take the extra time to enjoy your cup of coffee or a book, and finish waking up before the chaos starts. LIST YOUR EXCUSES. Name every reason that you can come up with why you can’t live a healthier lifestyle. Don’t stop there – examine each one and look for solutions to each one. You’ll soon see that excuses like “no time” or “too expensive” aren’t really true. EXERCISE YOUR MIND. Add some mentally challenging activities to your day, such as a daily puzzle or even eating with a different hand! It doesn’t have to be hard. Keeping your brain active and fit is part of a healthy body. PARK A LITTLE FARTHER AND WALK. And use the stairs! Find little ways to add a few extra steps to your day. They can add up to make a big impact. GANODERMA LUCIDUM! You knew it had to be on our list. Adding all the wonderful health benefits of Ganoderma lucidum to your daily routine is simple with Gano Excel. 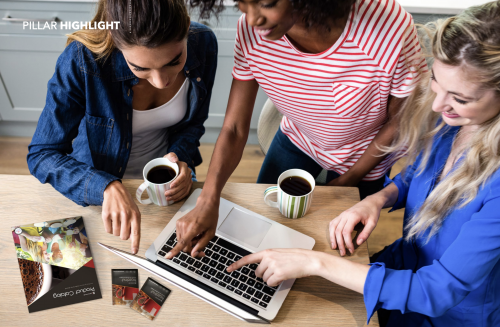 All it takes is preparing one of our delicious GanoCafé products, packed with Ganoderma lucidum bioactives to balance your body – or our amazing GanoDaily products are simple to use too! For a complete list of coffees and more, visit TheSmartMushroom.com. Harmonize: Develop a Character of Harmony As we know, character is built from decisions we make every day. It is said that true character shows when met with adversity. Sure, it’s easy to have a cheerful disposition when everything is going your way. However, what values do you hold on to, even when it’s hard to do so? At Gano Excel, we are committed to pursuing harmony no matter the circumstance. Focusing on the shared happiness of everyone can be easier said than done when we have insecurities about our own situation. Yet, harmony pushes us to share health and wealth to every household. We are not in this alone, and thank goodness for that! So, since it’s not all about us (even when we’d like to think it is), how can we improve our character of harmony? One action to start taking is finding ways to leave your ego out of it. When holding your 1-on-1 or Coffee Break, remember that you are simply there to SHARE. Share the amazing Ganoderma-enriched product and what it has done for you. Beyond that, it is all about your prospect. How can you help? Whether you hear “yes” or “no,” focusing on your prospect will emphasize harmony. It will also make any rejections feel less personal. Another action you can start taking is to seek to understand others. Work on awakening your curiosity for others. Take an interest in what motivates your team and customers. Practice placing yourself in another person’s shoes and looking at circumstances through a different perspective. You can also practice active listening skills. When you spend more time on understanding than making yourself understood, you build a character of harmony. Lastly, you can reflect more. According to Stanford researcher Fred Luskin, 90% of our thoughts throughout the day are repetitive. Taking time to process what’s on our mind will free up space to think about other things. So, if your thoughts are filled with reminders, write down your list. If your thoughts are filled with worrying, take some time to set them at ease. Processing your needs privately means that you can be mentally present when you are with others. Have your own tips on how to Harmonize? Share them on social media using #GanoExcelUSA!